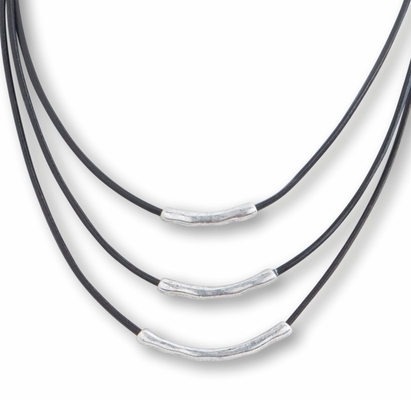 Antique Silver Triple Strand Tube and Black Leather Cord Necklace by C.T. Hill Designs - Why spend $100s of dollars on trendy designer jewelry when you can find trendy, affordable jewelry that looks just like the real thing. C.T. 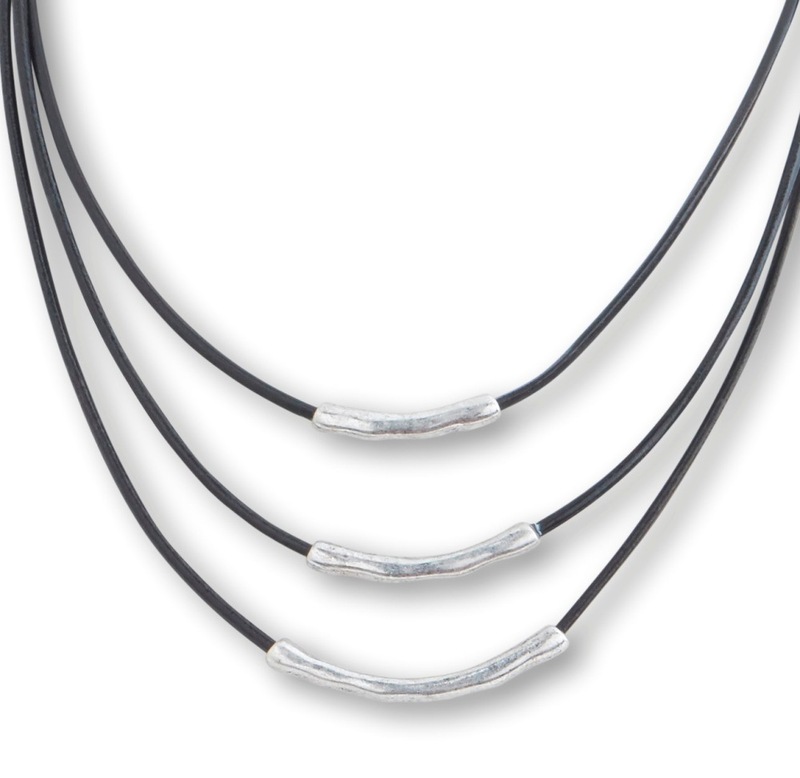 Hill Jewelry is an exclusive fashion jewelry line that combines glitz and glam, geometric allure, and enduring vintage charm with functional design at great values. Shop for the perfect Bridesmaids jewelry, affordable vintage-look bracelets and necklaces, inexpensive necklace and earring sets, and just cute everyday wears.